Jane and I have been farming free range egg for the past twenty five years. The Free Range Egg industry was in its infancy with the Australian Egg Board only just dissolved. 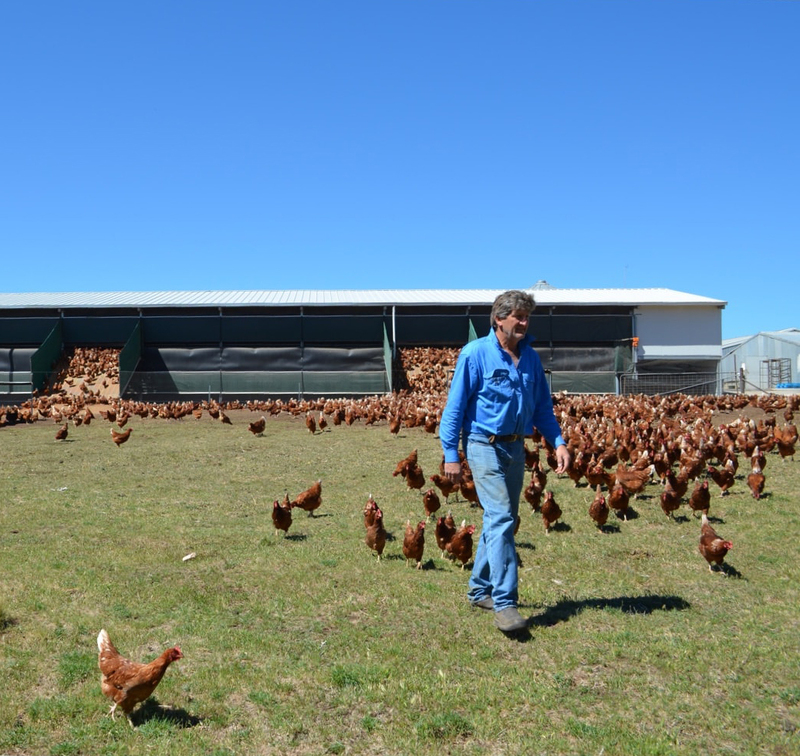 ‍In 1991 I built our first mobile chook shed to house 100 hens, then built 10 mobile sheds to house 1000 hens. We supplied free range eggs to local businesses. Demand was growing and a distributor in Sydney wanted our eggs. I began building bigger mobile sheds, which housed 500 hens. My system with mobile sheds was great when weather conditions were ideal. However the mobile sheds were totally inadequate to shelter our hens from the extremes in weather conditions that we experience. Our hen welfare was being compromised. I developed my own better shed design and built permanent houses for 3000 hens and later 5000 hens. Our children have played an integral role in our business since its inception. 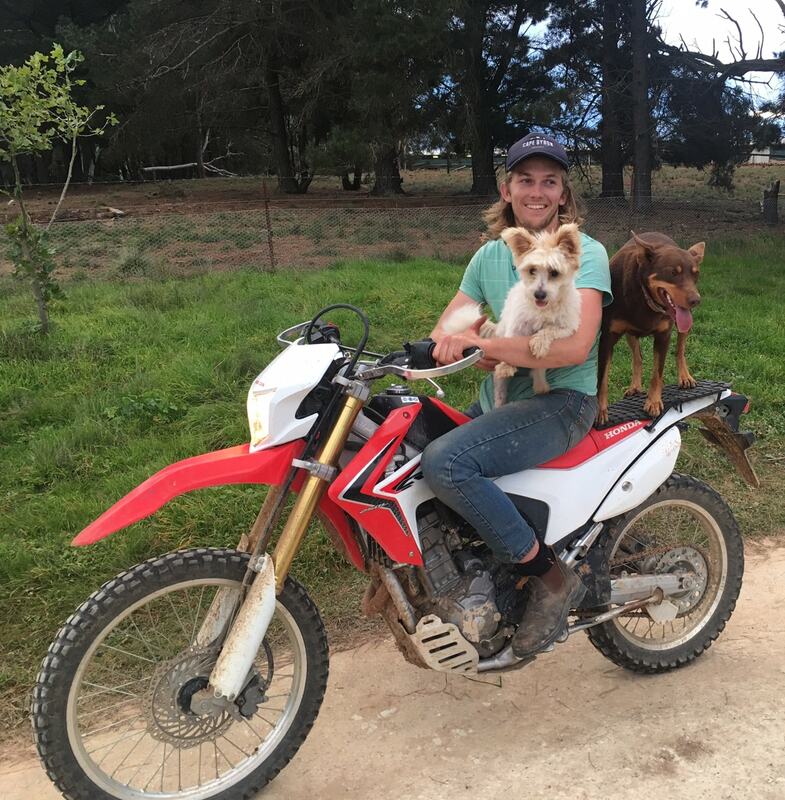 With our children at an age now where they are taking a more active role in the running of our farm, it was decided to take our farming practices into the twenty first century. We researched numerous accreditation schemes and decided that the RSPCA had the highest standards for free range egg farmers. The RSPCA Approved Farming Scheme focuses on improving the lives of farm animals and making humane eggs readily available. ‍With brands using terms like ‘free range’, ‘organic’, ‘paddock’ and ‘pasture raised’, it can be hard to know which labels or certifications to believe. The RSPCA is Australia's most trusted animal welfare organisation. The RSPCA has humane standards that cover the birds from birth to slaughter. The process of RSPCA accreditation has taken us over 12 months, and has involved a huge effort, and a complete transformation of our farm. The process has been stringent and rigorous. Our farm has been assessed and reassessed against RSPCA standards for free range hens. Trained RSPCA assessors and our own consulting vets regularly check the farm. We keep rigorous records, which we and our staff fill in daily. We have built new housing that I have designed and fine tuned after many years experience and are unique (with 5 star luxury) that is fully automated. Being a pioneer in the free range egg industry since its inception, when it was highly unusual to have free range birds, I have worked out the best accommodation for our birds. In the morning the doors open to allow the hens outside. At dusk the hens instinctively come back inside the shed and the doors close behind them, keeping them safe from predators. Inside the shed the hens sleep on perches. There are temperature senses that control the opening and closing of curtains and/or turn on fans and water misters depending on the ambient temperature. There is plenty of shade in the paddocks. The manure falls through the slatted floor, much like a shearing shed, keeping the shed clean and hygienic. It is collected with a bobcat and spread over the paddocks, fertilizing using biodynamic principles.